LIGHT is the most important factor in photography and videography. A good light will make the picture or video more professional and vivid. The most common light source is nature sunlight. However, there are too many limitations if you are only reply on the sunlight. 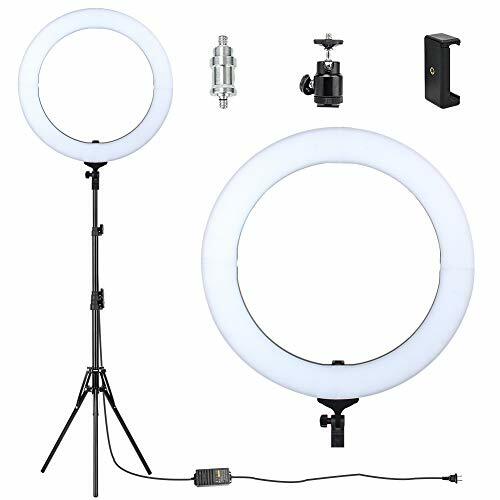 Zomei LED ring light Ring light is a essential lightning tool now. It is widely use for portraits, beauty shoot, videography and macro photography. It will creates an attractive catch light on a subject's eyes while emitting even, diffused lighting that helps eliminate shadows. All the ring light and it's accessories have 24 month warranty. If you have any problems with the products, please let us know. We will provide you a satisfactory solutions. If you have any questions about this product by TAIROAD, contact us by completing and submitting the form below. If you are looking for a specif part number, please include it with your message.